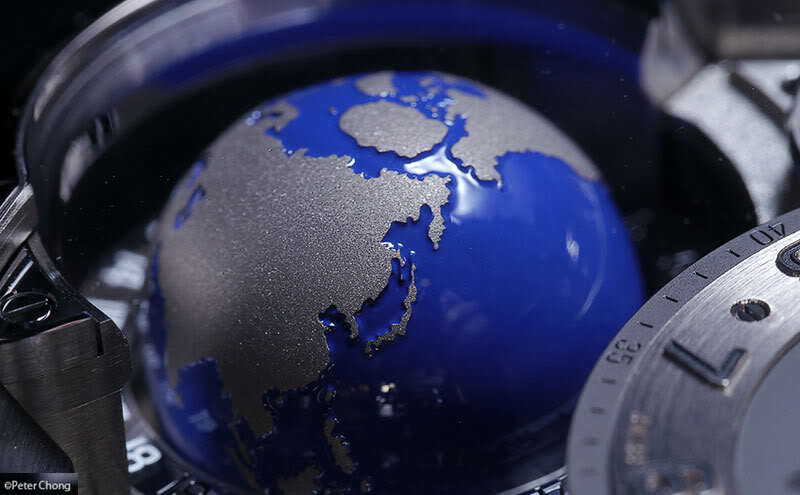 A departure from the classical repertoire of the brand results in an unexpected luxury steel sports watch for global travellers. 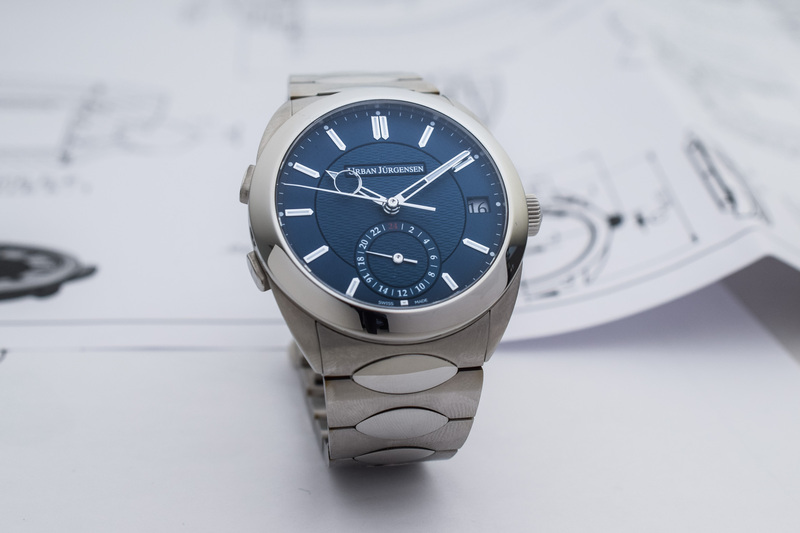 Urban Jürgensen is known for crafting some of the most refined dress watches. 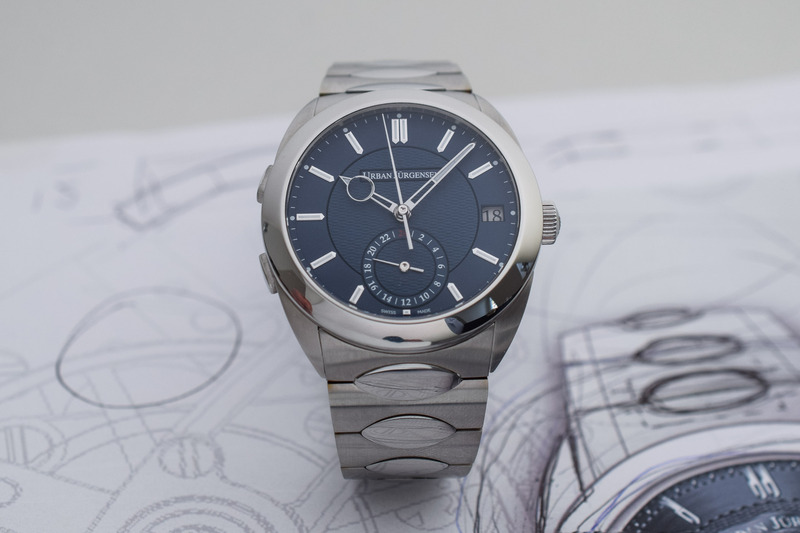 However, just a few weeks ago, the independent Swiss/Danish watchmaker entered the luxury sports watch category with the sophisticated Jürgensen One collection. The model stands out with a dynamic steel case with curves and fitted with a distinctive bracelet with oval-shaped interlinks. 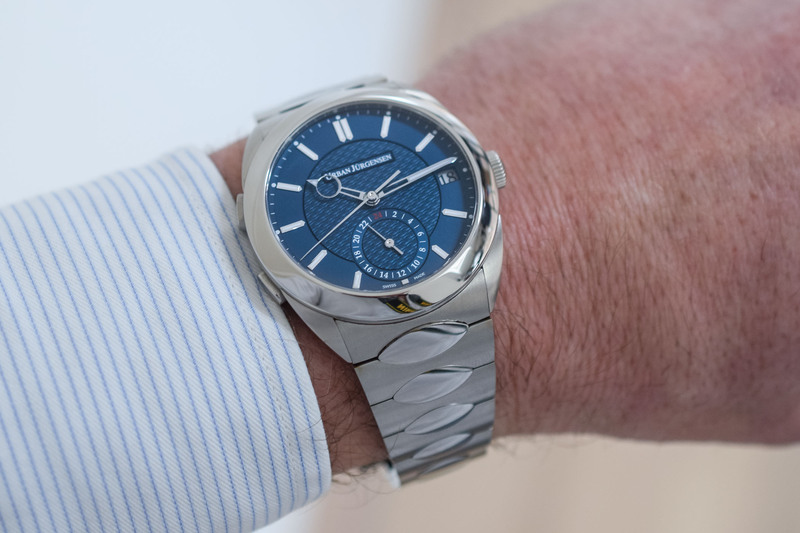 Among the four references presented, we took the opportunity at Baselworld to go hands-on with the Jürgensen One GMT, a sleek and highly functional dual time watch. 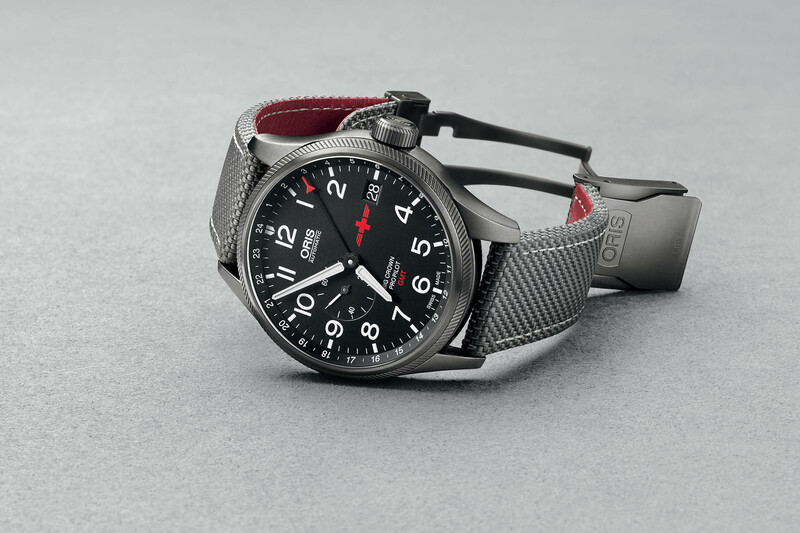 Capturing what people want in a luxury sports watch is no small challenge – it needs to be robust, water-resistant, comfortable and practical, all of this in an elegant way. In short, an elegant yet sporty watch you can wear every day. In this respect, the addition of a second time zone is a useful function when travelling. 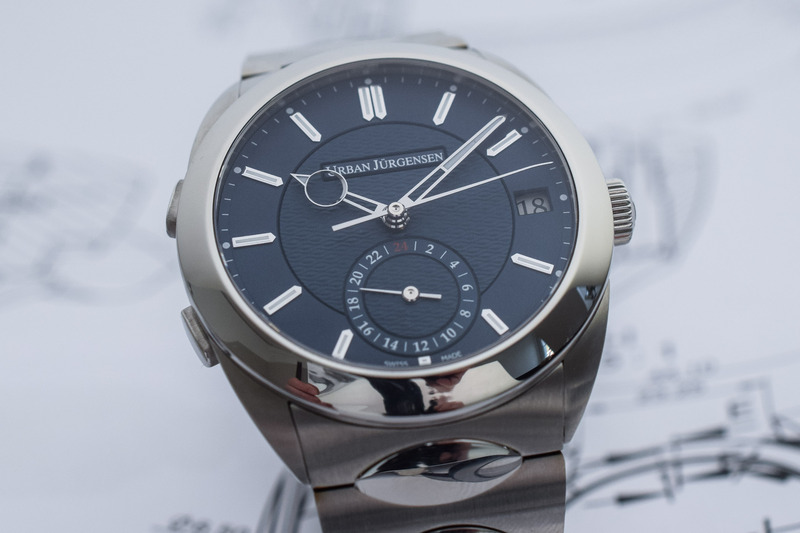 The Urban Jürgensen reference 5541 is the first modern dual-time watch of the brand. It relies on the central hands for the local time and a sub-dial marked with 24 hours for the home time. Operating the dual-time function is straightforward and practical – which is not always the case with GMT watches. The new movement features local jumping hours, offering optimal flexibility for travellers. The central local hour hand can be set independently from the home reference time. Two pushers advance the hand in one-hour increments, in both directions. These are positioned so they can be easily activated while the watch is on the wrist. As you would expect, the pusher at 10 o’clock advances the hand while the pusher at 8 o’clock moves it backwards. 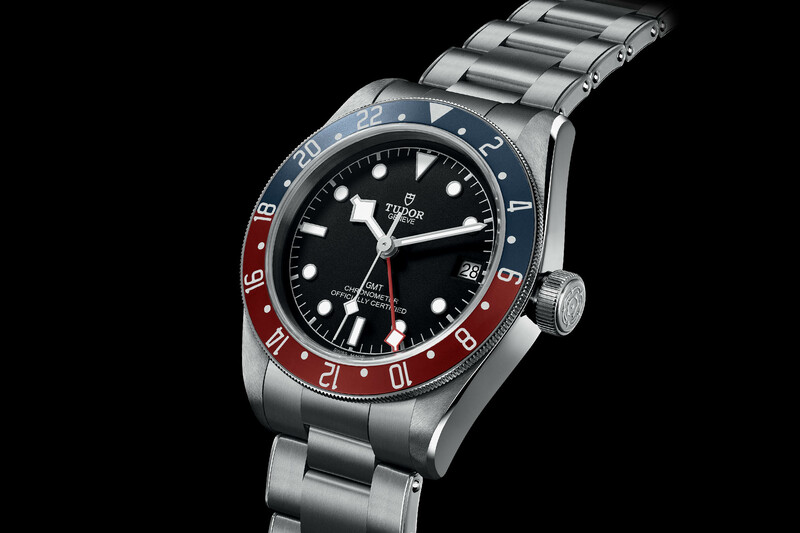 When landing in a new time zone, there is no need to pull out the crown, simply adjust the local time by pressing the pushers – meanwhile, the sub-dial will still display the home time. Manufactured as one piece, the superbly crafted dial is guilloché (centre) and grené (periphery). It features facetted baton-style hour markers with luminescent material, ensuring great legibility in any situation. On the home time subsidiary display, the 24 highlighted in red is a nice and practical touch, allowing to identify at a glance that this is a 24-hour second time indication. The beautiful openworked hands feature hand-rivetted centre canons. The minute hand and the slender second hands are slightly bent at their extremity. With the launch of the Jürgensen One collection, Urban Jurgensen developed an automatic version of its proprietary P4 movement and the GMT mechanism for this model. Measuring 32mm in diameter, the automatic P5 is perfectly calibrated to the dimension of the case. It delivers a robust 72-hour power reserve with twin barrels. Beating at 3Hz, its large variable inertia balance wheel is secured under a transversal bridge to provide optimal stability. The stop seconds mechanism allows for precise adjustment. 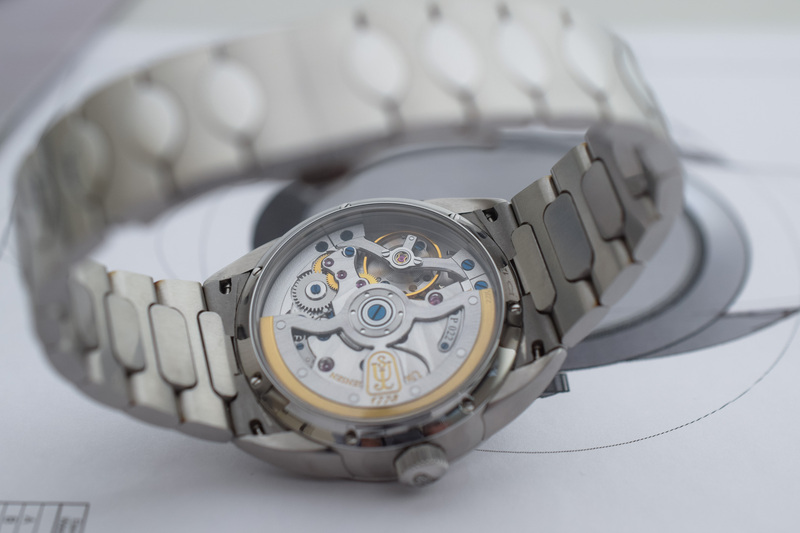 As with the case, bracelet and dial, the finishing of the movement is top notch, with chamfered bridges, Geneva stripes radiating from the balance wheel and blued screws. The rotor is openworked with a UJ logo and a 22K gold outer winding section. On the wrist, the Jurgensen One GMT wears comfortably and it does not feel as thick as its 13.8mm may suggest. The 41mm case and the bracelet offer great wrist presence. This steel case offers 120m water-resistance. Like the case, the distinctive bracelet is fashioned out of medical grade steel. Its original and sophisticated geometry incorporates ogival-shaped centre links. The way the bracelet is articulated, combining a great balance between rigidity and flexibility, is as surprising as interesting. End links of different length are available, allowing the bracelet to be adjusted perfectly to the wrist. Last, the butterfly folding clasp features a double press system to prevent accidental openings. 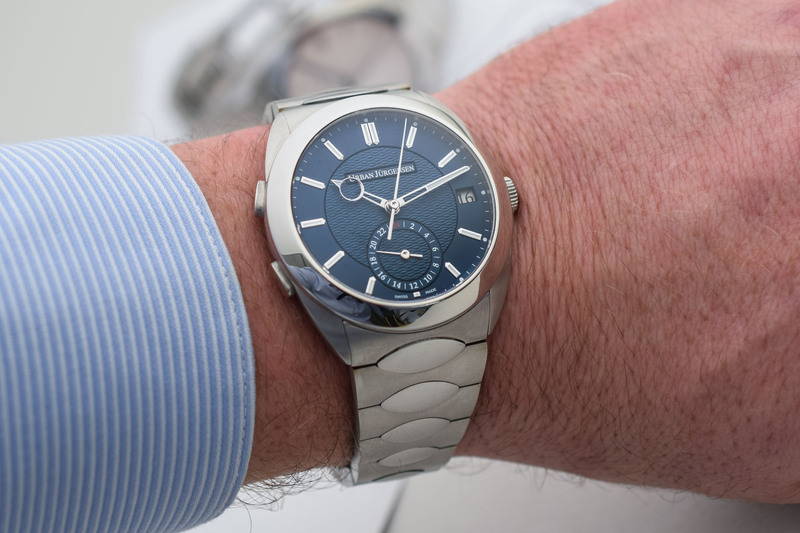 The Jürgensen One GMT (ref. 5541) really stands out from the other dual-time watches on the market. 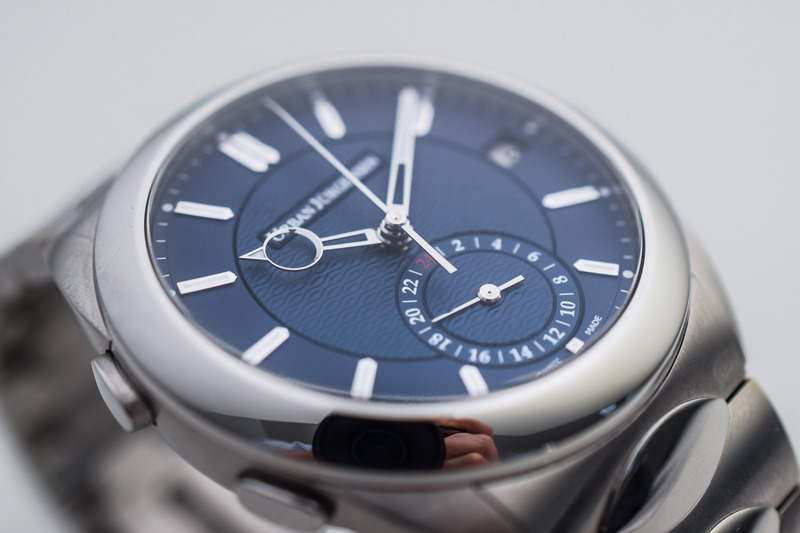 Like all Urban Jürgensen watches, it is carefully thought-out and superbly crafted. I can thoroughly recommend that you go hands-on with it, if only just to try it on the wrist. 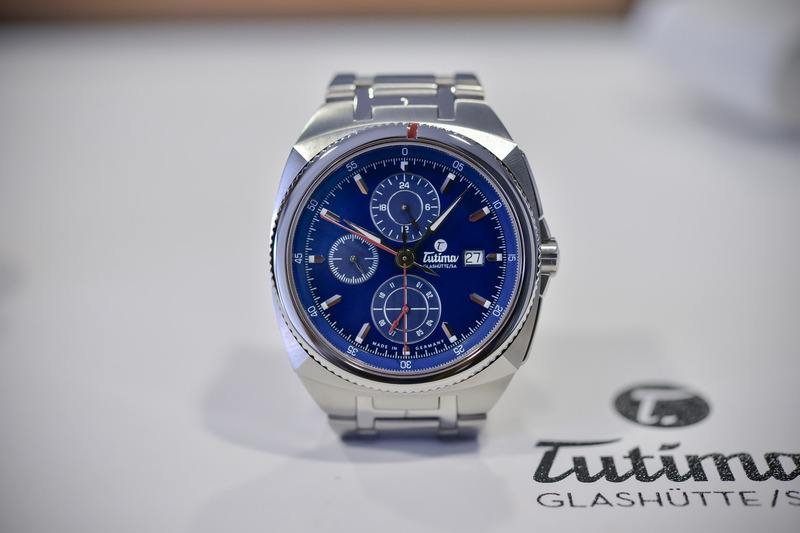 Retail price is CHF 33,500 and it will be available as of May 2019. For more information, please visit www.urbanjurgensen.com. Is it just me or is the movement finishing a bit underwhelming at this price point? If this is meant to compete with AP Royal Oak, VC Overseas? I won’t include Patek Nautilus (or even Aquanaut)as it is pretty much unobtainable via ADs. It’s better to evaluate the movement finishing from higher quality photos. I haven’t seen the P5 movement in real, but I think my P4 movement at least has the similar finishing level as AP/VC. I think the finishing on the P5 is probably as good as it should be, although it’s quite difficult to compare to the Vacheron 5100 because of the difference in design – I’m of the opinion that UJ should use darker metal for the P4 & P5 to make the overall aesthetic a bit classier, but as Chia-Ming says, higher quality photos are better for judgement; Monochrome’s photographer(s) can tend to let too much light wash away subtle effects. But you buy a Jurgensen mainly because of what’s on the dial – sublime guilloche and the finest hands in the business. I agree it needs to be thinner, but (according to a Jeweller I have spoken to) Jurgensen make less than 200 watches a year, so it doesn’t need to attract that much attention really. Indeed, in fact I rarely care about the movement of my 1140L. It is on my wrist most of the time and its dial, hands and case have never bored me. I’m also getting more and more focusing on the exterior parts of watches. There are certain rare cases where it doesn’t matter at all how well-finished the movement is…except for the peace of mind of knowing the quality has parity with the high price, of course. Something like a Voutilainen Vingt-8 or De Bethune Starry Varius. They could close the back of those (even though they have wonderful movements) and I wouldn’t care. Not one bit. I love the design but the price should be more around 15-20K, if you play in the same price segment as AP and PP, people also expect ” a name ” and a certain resale value.